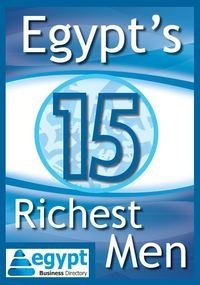 Egypt is among the countries chosen by Coca Cola's initiative 5by20 to empower 300,000 women. The Coca-cola Company announced strong progress toward its goal to enable the economic empowerment of 5 million women entrepreneurs across the Coca-cola value chain by 2020. The initiative, known as 5by20, is expanding beyond its pilot programs in four countries to launch and scale programs across a total of 12 countries: Brazil, China, Costa Rica, Egypt, Haiti, India, Kenya, Mexico, Nigeria, the Philippines, South Africa and Thailand. 5by20 is on track to reach 300,000 women by the end of 2012. By providing access to business skills, financial services, assets and support networks of peers and mentors, 5by20 is helping women succeed as entrepreneurs, while also creating thriving, sustainable communities. Initially focused on four pilot countries – Brazil, India, South Africa and the Philippines – the expansion of 5by20 into additional countries demonstrates The Coca-cola Company’s continued commitment to testing, learning and scaling programs in order to reach its ambitious women’s economic empowerment goal. This expansion includes the launch of 5by20 in China in partnership with All China Women’s Federation to provide business skills to female retailers, with the initial pilot program underway in Guangxi Province. In Kenya, young women entrepreneurs are receiving business skills training and retail assets to establish new enterprises in partnership with TechnoServe. In Mexico, young women are receiving business skills training and being trained for their first job. In addition several new 5by20 programs are a result of the partnership The Coca-cola Company and UN Women announced in September 2011. The Coca-cola Company and UN Women’s US$4 million partnership will economically empower 40,000 women over three years in South Africa, Brazil and Egypt. The two organizations are collaborating to provide women with business skills training, leadership training and access to financial assets. UN Women is the UN organization established as a global champion for women and girls. In Egypt, The Coca-cola Company and UN Women are providing women entrepreneurs with retail kiosks, business skills training and access to mentors. In Brazil, the partnership is focused on reaching women recyclers, artisans and community leaders throughout Coca-cola ’s value chain to provide leadership skill development and business skills training. In South Africa, the two organizations are providing retailers with business skills training, mentoring and guidance on networking with peers. In addition to the 5by20 initiative, The Coca-cola Company supports other women’s economic empowerment efforts around the world. In June, as part of our re-entry into Myanmar, the Company announced a US$3 million grant from The Coca-cola Foundation, the Company's charitable giving arm, to Pact. The Company will work with Pact, a non-governmental organization, to support women's economic empowerment and job creation initiatives throughout the country through a program called WORTH. As the Coca-cola Company reported, this program will initially fund women interested in supporting a variety of businesses, and Coca-cola expects the program to eventually identify women entrepreneurs interested in becoming independent shopkeepers and distributors of Coca-cola products.